Back again with another centre step card. This time I have a portrait version. Both the landscape and portrait versions are normal card size and easily fit into a C6 envelope. 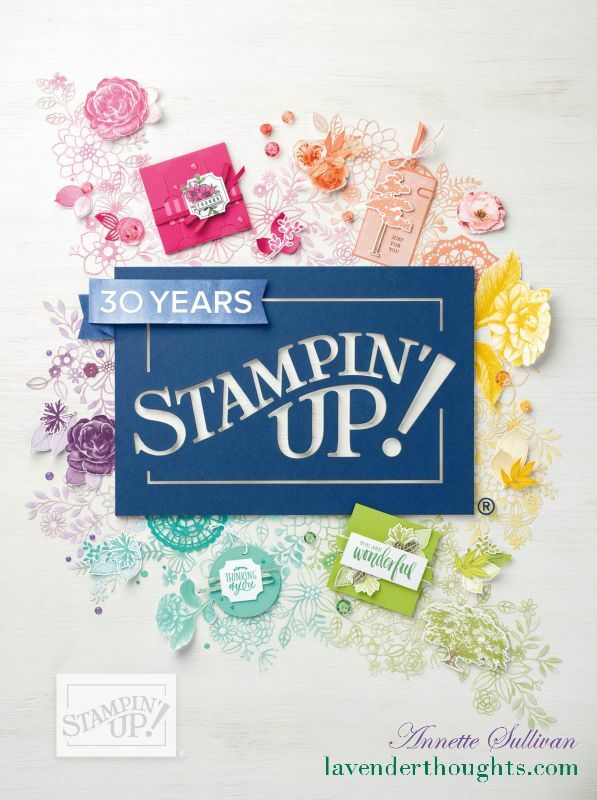 I have used the new Easy Events and Pennant Parade stamp sets [both in the new Idea Book & Catalogue which issues on 1 September]. So this is a sneak peek. I stamped the branch from Easy Events in different directions using Basic Black, and then coloured the leaves and berries with Always Artichoke and Real Red markers. The red rhinestone brads in the top left hand corner have had their ‘legs’ removed, and adhered to the card with glue dots. If you add the brads before layering the Whisper White onto the Always Artichoke, you will not need to do this as the legs will be hidden between the layers. The tree [an upside down pennant] and its base come from the Pennant Parade set, and have been layered onto a piece of Real Red [both punched with the Decorative Lavel Punch. The sentiment was randomly stamped using Real Red. If you would like to learn how to make either the landscape or portrait version of the centre step card, please leave me a comment. UPDATE 18 August 2011 – I am preparing a tutorial on both portrait and landscape versions of the centre step card and will upload during the next week. UPDATE 22 August 2011 – You can find the tutorial link here. Mollie, you can find the tutorial here. Thank you for your interest. Could you pleasen tell me how to make this card? Thanks for your interest Sharon and Kim. I am preparing a tutorial on both the portrait and landscape versions and will upload it in the next week. 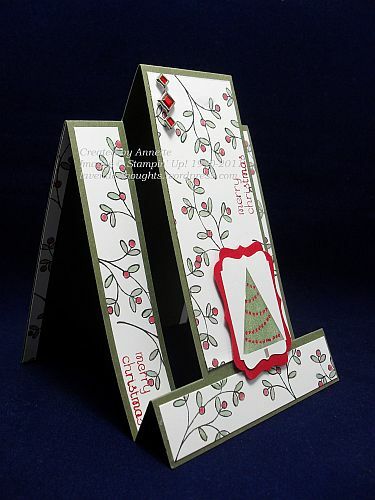 i would like to know how to make these wonderful cards.